This How to Make Cherry Juice tutorial is part of a series on preserving, freezing, and drying fruit. Find more in this homemade preservation series here. Fruit juice has gotten a bad rap over the last few years, not because it didn’t deserve it, but because the news media failed to mention that juice itself is not bad, it’s the processed juice that has sweeteners, conditioners, flavor packs, and more added to them that are sold in stores. The juice you can create at home is full of nourishment and vital nutrients but without any additives and preservatives. Yes, fruit juice does have natural sugars, and like all sugar, it should be considered in your overall dietary plan, but also look at the nutrients it provides and find a place for it in your diet. There are several ways to make fresh cherry juice. Which one you choose depends on what equipment you have on hand and how much waste you’re willing to have. How it’s Done: Wash and stem the cherries. Place them in a blender or food processor and add about 1/4 cup water for every cup of cherries. Blend until the cherries are loose from the pits, but the pits are still whole. Pour the juice into a fine mesh colander or sieve to collect the pits and skins with a container underneath to catch the juice. Use a wooden spoon or spatula to press the juice through the sieve. Discard the pits. Storage: If you’re drinking immediately, enjoy. If you’ll be storing the juice, skim off any foam and put in an airtight container. Enjoy within 3-5 days. If discoloration bothers you, use one of the methods below to prevent it. Benefits: No pitting required and most kitchens have a blender or food processor available. Except for a pitter and a sieve (or fine mesh colander), there isn’t any special equipment required. The Down Side: My blender is too strong, and it pulverizes the seeds. If your juice has a bitter almond taste, toss it. That flavor comes from the center of the pit and is a chemical that when mixed with your stomach acids turns into a form of cyanide that can kill you. Bottom line, the inside of the pit is the problem – blend just until the outside of the cherry comes off but keep the stone intact. How it’s Done: This method requires frozen cherries (see how to freeze cherries) which are thawed and then hand squeezed. Freezing helps release the juices easier. Place a bowl underneath a fine mesh strainer, and with clean hands, squeeze the cherries to release their juice without destroying the cherry itself. These can be dehydrated and used in baking. Storage: If you’re drinking immediately, enjoy. If you’ll be storing the juice, place it in an airtight container and enjoy within 3-5 days. I’ve not had juice made this way discolor, perhaps because it doesn’t foam, but if you want to ensure it doesn’t brown, use one of the methods below. Benefits: There is very little waste with this approach – the cherries can be dried and used in baking, and the juice enjoyed. Dehydrated cherries made this way are not as sticky, and their sweetness is a bit lighter. The texture of the fruit is different, but they can be chopped and added to cookies, granola bars, and more. The Down Side: Freezing ahead of time is required, though I freeze quite a few pints so that I can make cherry juice and dehydrated cherries during the off-season. How it’s Done: This method requires frozen cherries (see how to freeze cherries) which are thawed and then passed through a Potato Ricer. This process is easy and uses a standard kitchen item most homes have. Choose a bowl or measuring cup large enough to fit the Potato Ricer and add the cherries, one layer at a time, and squeeze thoroughly. Storage: Cherry juice is best fresh, but if you need to store the juice, place it in an airtight container. Use it within 3-5 days. Since this method doesn’t produce foam, there’s no need to use any additives to keep it from browning and no skimming necessary. I love these WECK Tulip jars for drinking and storing. Benefits: There is a lot of waste with this method unless you dried the cherries after squeezing. They can also be added to a smoothie, oatmeal, or eaten with a spoon. 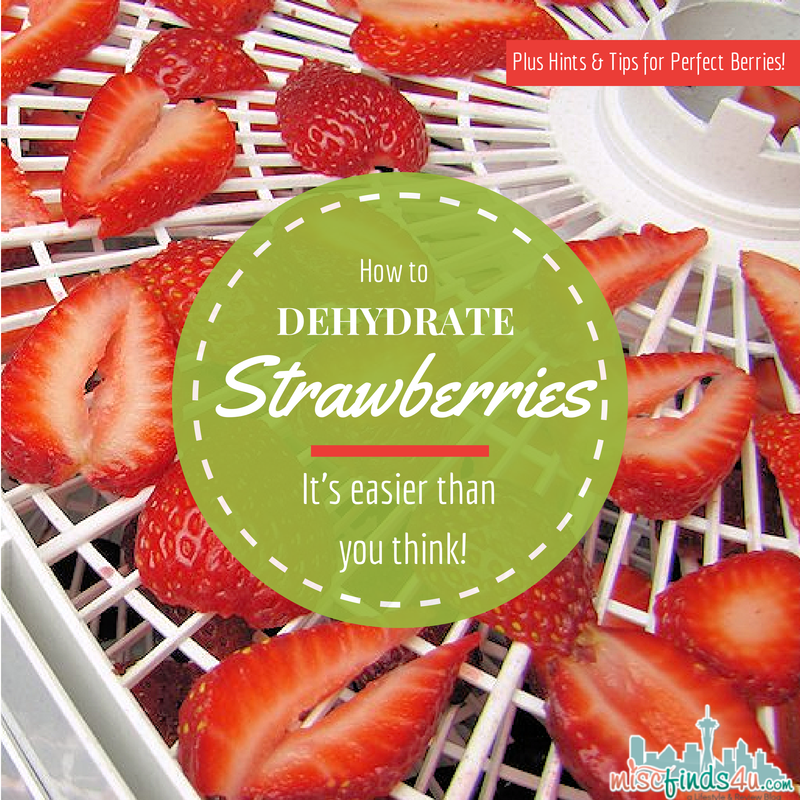 The Down Side: This only works with berries that have been frozen and then thawed. How it’s Done: Use fresh or frozen cherries that have been washed, pitted, and stemmed. Run the cherries through the juicer and then process the cherry pulp two to three additional times to get all of the available juice. Plus you’ll get a lovely, soft brick of cherry skins that can be used in smoothies and other recipes. Storage: If you’re drinking immediately, enjoy. Storing the juice? Skim off the foam and place it in an airtight container. Drink within 3-5 days. To avoid browning, which happens when I make it this way, use one of the additives mentioned below or ignore. It doesn’t affect the flavor; some people just don’t care for the color. Benefits: Flexibility and juicing options – add lemon, orange, or other fruits. Pure, flavorful juice that’s thicker than commercial juices is the reward. It’s the fastest and easiest method with the least amount of waste. The Down Side: If your pitter misses a pit, the cherry pulp is lost because of pit debris. How it’s Done: Ok, so technically not cherry juice, this is my favorite method. Start with frozen cherries and add ½ lemon juice and ½ cup water (or yogurt). Blend in a blender or food processor until smooth and enjoy! Benefits: Allows for additional flavors and fruit to be added. Frosty and refreshing and perfect on a hot summer day, and so thirst quenching. Try it first without adding any sweetener and change to a half an orange if you like it sweeter. This method has no waste beyond pits and stems at freezing and can be made long after the cherry season is over with frozen cherries. If browning of your cherry juice and/or its foam is a problem, there are several ways to prevent it. Home cooks crush a Vitamin C pill, though be sure there aren’t additional ingredients. I prefer to use Vitamin C Crystals (ascorbic acid) or Citric Acid. I don’t bother with the darker sweet cherries like Bing, but it’s a must for lighter varieties like Rainiers. Have you tried any of these methods to make your own cherry juice? Got any tips or suggestions for me? NextPetmate Helps Welcome Our Newest Family Member – Ellie! FD-80 Snackmaster Dehydrator and Jerky Maker – My Dogs Love It!